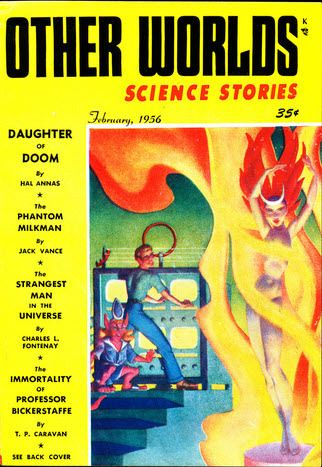 Given as #21 (42) in the Table of Contents. 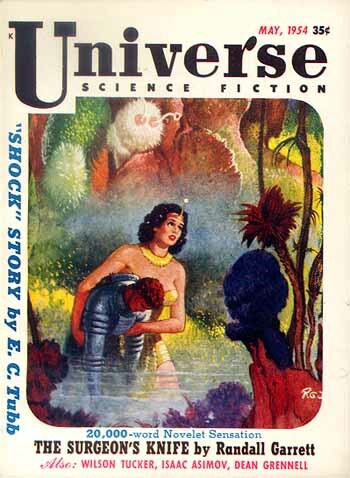 28 · Falcons of Narabedla · Marion Zimmer Bradley · na; an incomplete version was previously serialised in Dimensions #14-15, 1954. 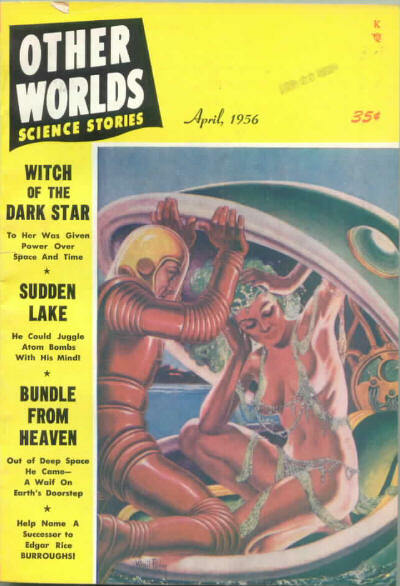 Title changed from Other Worlds Science Stories. 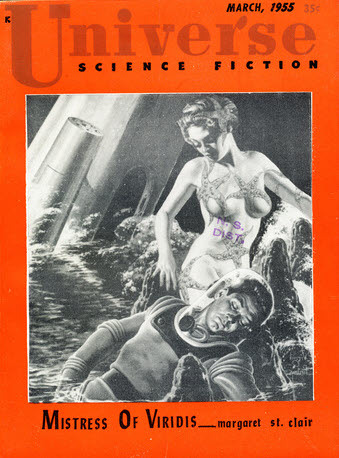 Although announced as being a new magazine it (intermittently) continued the (main) numbering sequence from the previous title. 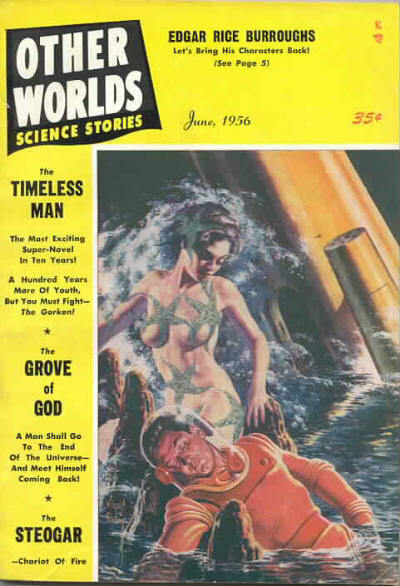 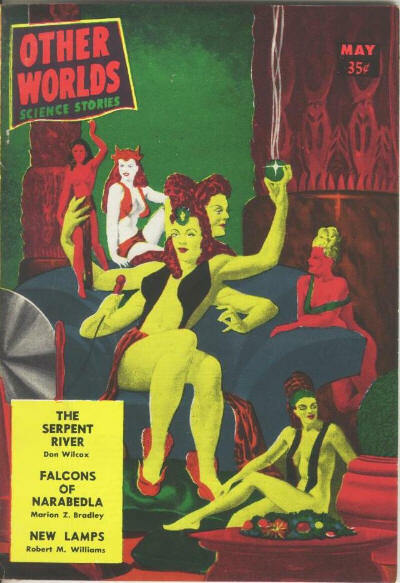 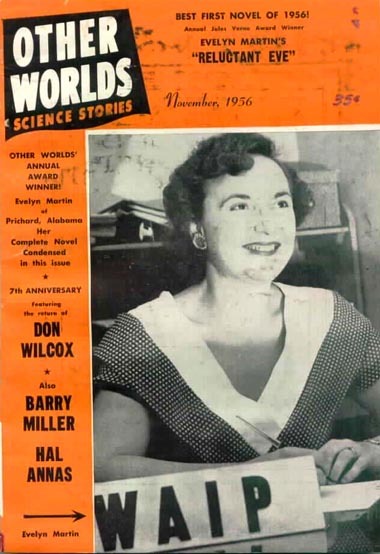 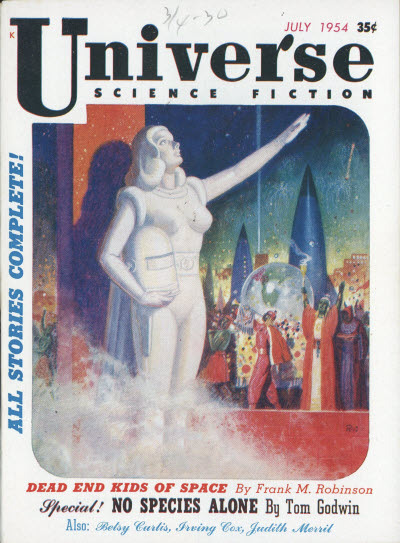 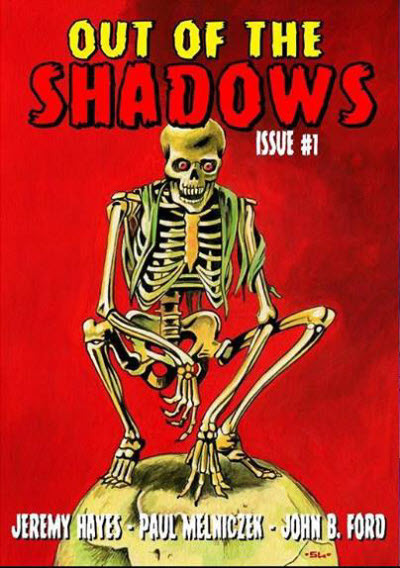 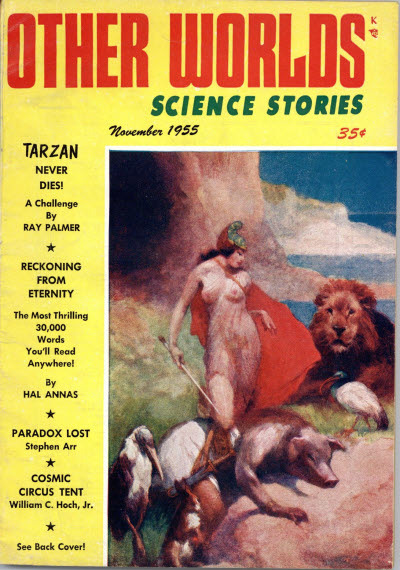 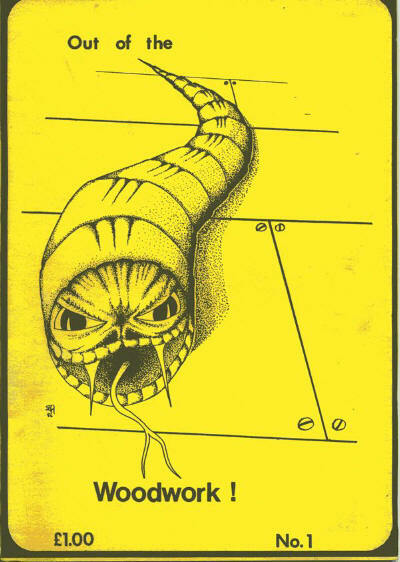 After the first four issues, listed here, the magazine continued as a non-fiction title. 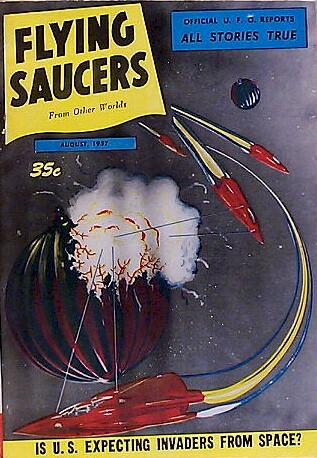 Palmer Publications, Inc.; Evanston, IL: Flying Saucers from Other Worlds, Jun 1957  Oct 1957. 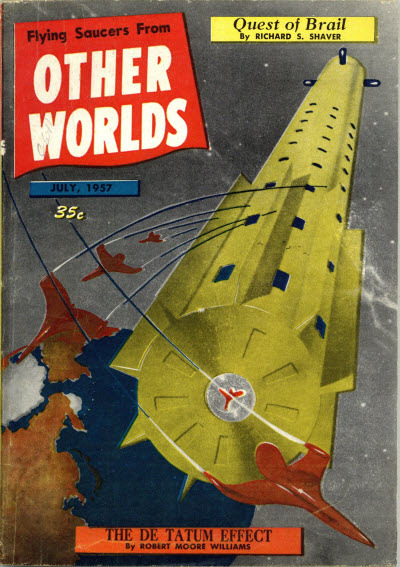 Raymond A. Palmer - Editor: Flying Saucers from Other Worlds, Jun 1957  Oct 1957. 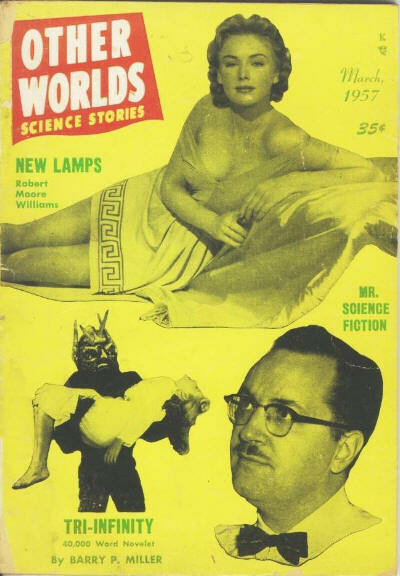 Scientifilm Searchlight · Forrest J. Ackerman · cl; Jul 1957. 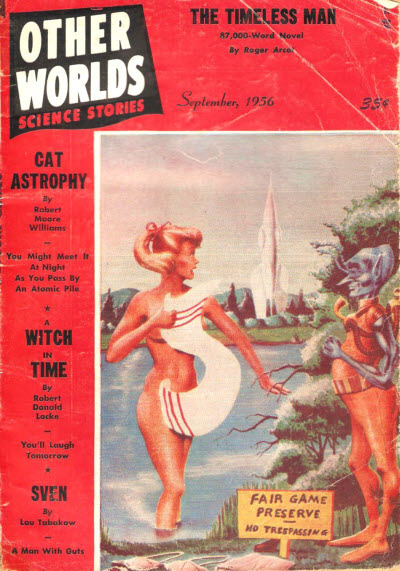 Fan Worlds · Guy Terwilleger · fr; Sep 1957. 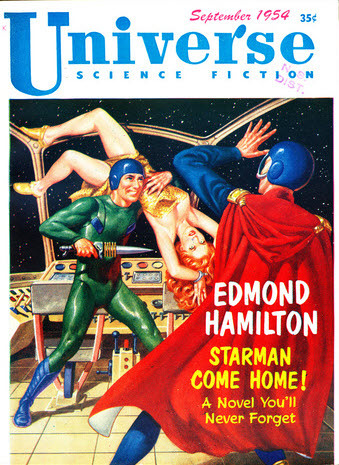 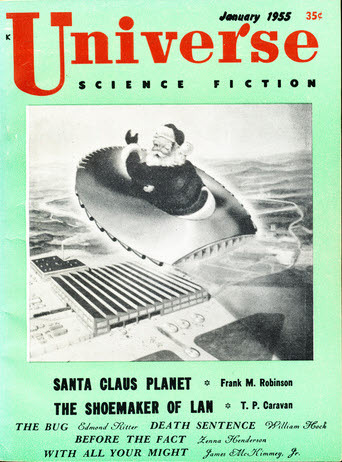 First Flying Saucer issue, only fiction indexed. 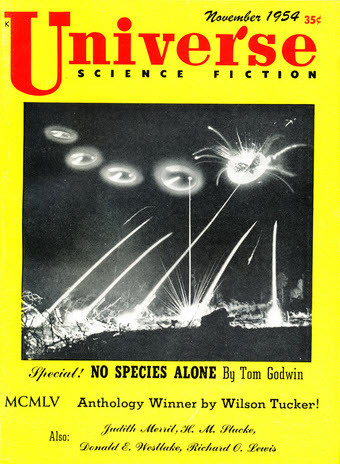 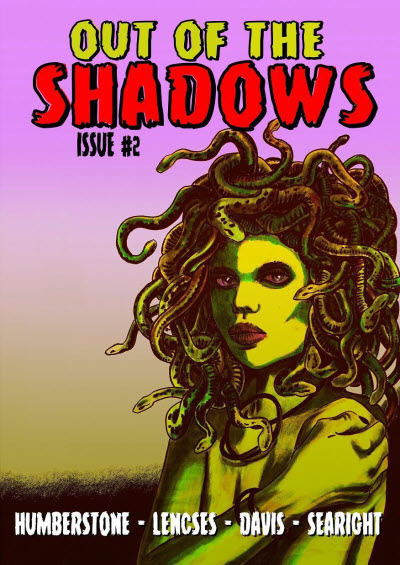 In this issue, Flying Saucers is printed in capitals in the title in the Table of Contents and in a much larger font on the cover. 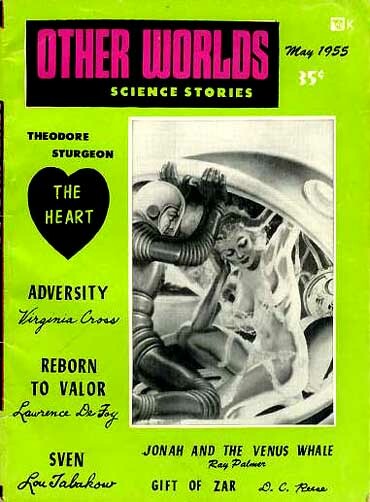 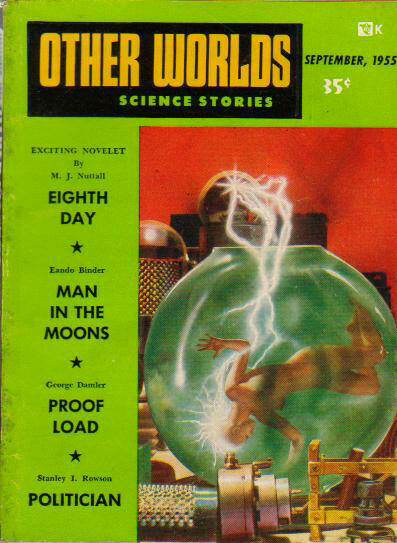 In this issue, Other Worlds is printed in capitals in the title in the Table of Contents and in a much larger font on the cover. 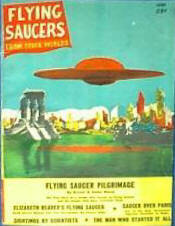 Second Flying Saucer issue, all non-fiction. 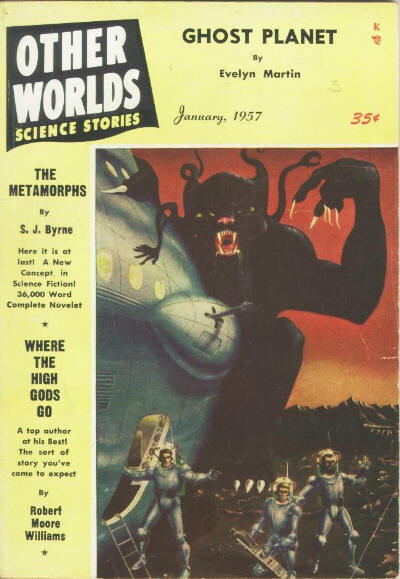 In this issue, Flying Saucers is printed in capitals in the title in the Table of Contents and in a much larger font on the cover. 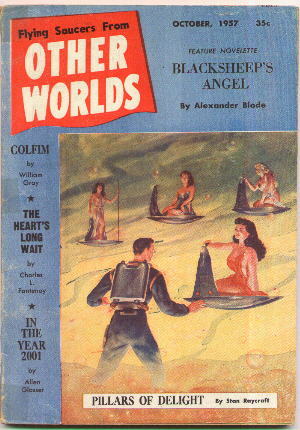 Given as October 1957 on the cover. 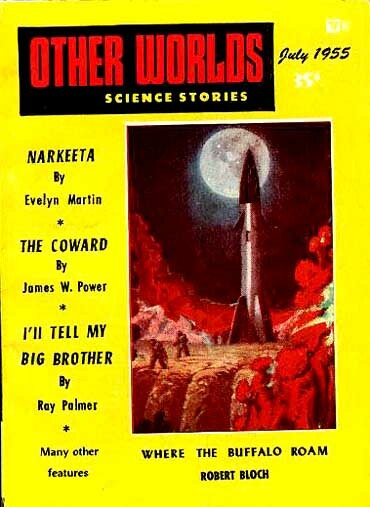 In this issue, Other Worlds is printed in capitals in the title in the Table of Contents and in a much larger font on the cover.